A leading Government proposal expert, Carl speaks on the continuously improving proposal techniques he developed over 40 years. Seeing industry’s proposal process roadblocks, he countered those by testing new problem-solving steps. Many of these new techniques, embodied in his Bid Launch Sequence™, proved to be remarkably successful. Carl will share with you what he learned so that you can improve your processes through his speaking engagements. Over the years Carl has done hundreds of talks on proposal development, both in symposia and as a part of proposal training for corporations. Carl delivers visual audience-focused presentations that motivate, and persuade. But more than that ─ he inspires to elevate the quality of proposals, and he aspires to provide you with techniques to transform your proposal process. 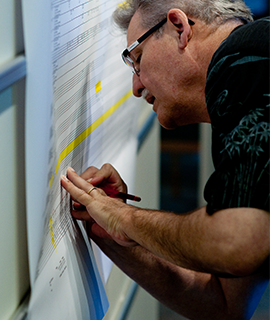 Register to be notified in advance when Carl is speaking at an open forum that you can join. 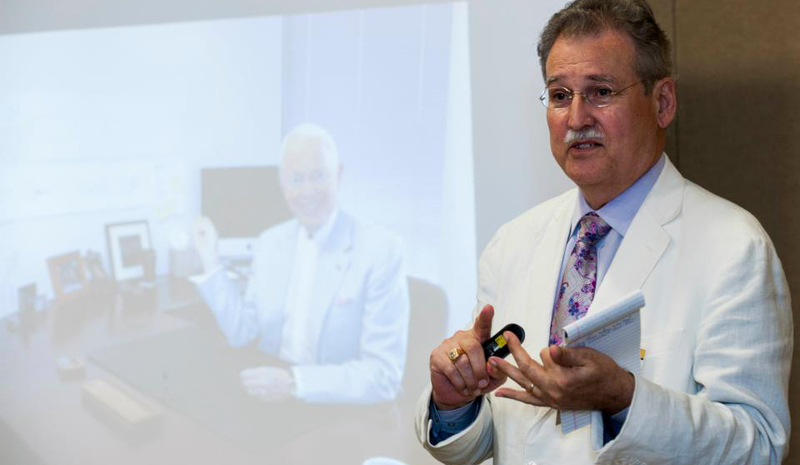 Carl Selfe recently briefed University of Central Florida grant writers and collaborators on Group Brainstorming using the Buzan mind mapping process. The briefing covered the team-based science and dynamics for brainstorming as a discrete discipline critical to both research and proposal development scopes of work. Correlating collaborative research initiatives used to address complex and often multidisciplinary scientific problems to that of developing complex proposals in the Federal marketplace, the workshop covered the genesis of brainstorming in Alex Osborn’s 1948 book, Your Creative Power. 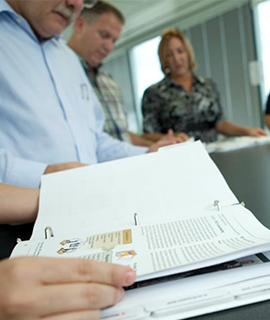 The course enhanced knowledge of team-based research and provided instructional guidance. 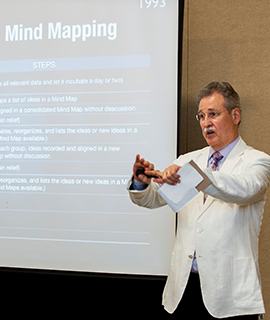 The course focused on how to conduct mind mapping brainstorming exercises with the large, cross-disciplinary collaborative groups that are brought together for proposal kickoff meetings and to start research efforts. Get my best stuff, notices of new publications, and alerts of promotions sent to your inbox! © 2017 Bid Decision, Inc. All Rights Reserved. KeyPERS™, ConOps™, Compliance Outline™, and Bid Launch Sequence™ are trademarks of Bid Decision, Inc.
Adobe® InDesign® and Adobe® InCopy® are registered service marks of Adobe Systems, Incorporated.